According to a new TMZ report — and a live video?! 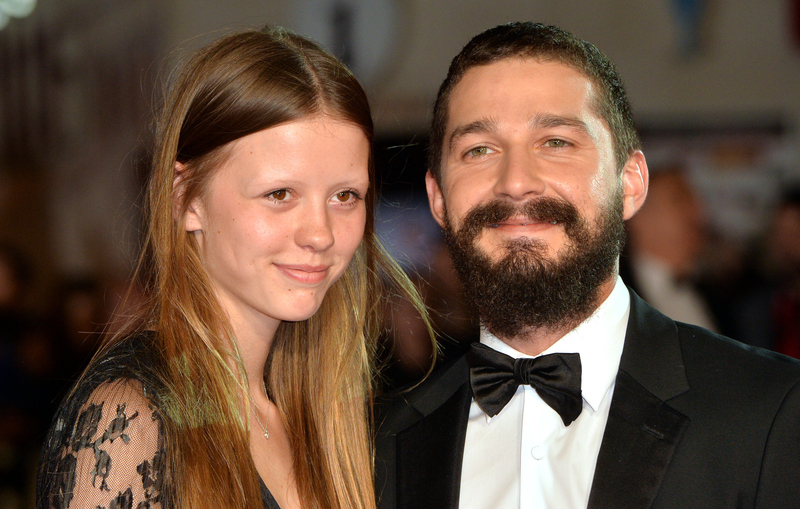 — Shia LaBeouf has married Mia Goth in a Las Vegas ceremony. The ceremony went down at Viva Las Vegas, a chapel known especially for themed weddings, which sounds right up LaBeouf's alley. TMZ published a live feed of the wedding, which was officiated by an Elvis Presley impersonator, with additional entertainment by a spirited hula dancer. I couldn't come up with a better LaBeouf wedding ceremony if I tried. Bustle has reached out to their reps for confirmation, but has not yet gotten a response. Update: According to a tweet from Clark County, Nevada, there is no marriage license for LaBeouf and Goth. The tweet says they had a commitment ceremony. Earlier: TMZ also published a photo of LaBeouf and Goth arriving at the chapel with LaBeouf's mother in attendance, so this looks to be the real deal. There is no word as to how or why TMZ had what appeared to be a live stream going of the event, but the couple looked to be happy and overcome with emotion while going through with the very intimate and non-traditional ceremony. Goth wore a simple, white dress, while LaBeouf kept it traditional with a black suit with slicked back hair. LaBeouf and Goth ended their emotional vows with a tender first kiss as a married couple, while "Hungry Heart" by Bruce Springsteen blared overhead. Now that the live stream from TMZ is over, video footage of the wedding is available on their website (and below). Congrats to the new husband and wife!